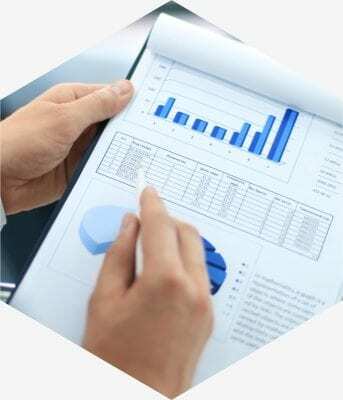 APEX Financial Advice is a company bred out of the understanding that the financial advisory services industry requires an innovative approach. We are in a period of immense change including but not limited to policy and legislature reforms in the areas of Tax and Superannuation. At APEX we seek to ‘future proof’ you in the face of these changes, implementing flexible strategies to help you achieve your financial goals. Allow us to advocate your needs in a business we know well, aligning your financial plan with industry standards of best practice. At APEX Financial Advice we have set out to provide financial advice to as many Australians as possible. We take a straightforward approach, strategising both with and for our clients. Our company aim is to periodically to ensure that your wishes including listing beneficiaries are as you require. APEX Financial are motivated and incentivised only in our client’s satisfaction and positive outcomes. Our statement in our wish to put your needs first is more than a positive positioning, it drives the very core of our business, we look forward to discussing with you how our advice can help you and your family in your financial future. Born in Dalby, Robert is a local and a proud Queenslander. With an extensive background in banking, insurance and finance Robert completed all of his qualifications including his Bachelor of Commerce and Advanced Diploma of Financial Planning whilst working in the financial services sector and is currently completing a Masters of Financial Planning at Griffith University. Having provided financial advice in his capacity as an advisor in large banking corporations as well as comparatively smaller dealership groups, Robert has a solid industry network and client base which he values. In the creation of his own company APEX Financial Advice, Robert is seeking the autonomy of decision making important to his clients, implementing changes in the company structure allowing him to expedite positive outcomes on their behalf. In his downtime Robert is an avid sports fan, and follows AFL religiously. He likes to travel and has done so extensively through Europe and Asia with his wife and young family. Whatever your stage of life and circumstances there are likely to be areas in which we can help. We take a straightforward approach, strategising both with and for you to ensure that our service provision compliments your needs. We want to ensure you have the correct foundations in place so we are able to build on these and achieve your future goals. At this stage we want to provide a solid education around your finances, so you feel in control of your own destiny and create financial behaviours which you can continue throughout your life stages. As a young adult it is important that the wheels are in motion to grow your wealth. At this stage of life you may have high debt levels from paying off education costs, wedding expenses, first home purchase or possibly children. It is also critically important this debt is structured appropriately to avoid it spiralling out of control. At this stage of life it is important to enjoy today whilst also keeping an eye on tomorrow and striking a balance between the two. By consulting a professional it will allow a plan to be set up to ensure you are constantly on track and that this can be monitored and altered where needed to meet life’s many obstacles. This is one of the most important stages of your life with your finances. You will likely still have debt, with some possible savings you have accumulated or equity. This is where you wealth can really be accelerated. We want to ensure we are factoring in your long term goals for retirement at this stage. With the current preservation age to access your superannuation being sixty and the age pension age constantly increasing it is important to be in control of your own destiny. By looking at methods to generate a passive income from various investments this will give you the option of retirement when you choose and not be dictated by the government and their constant changing of the rules. After working the majority of your life, we want to start to focus on what all the hard work has been for. You will generally only have one time in your life where you transition into retirement which could last for 20+ years so you want to make sure all your years of hard work is captured as appropriately as possible with a well thought out retirement plan. We also want to ensure your superannuation is correctly set up as the rules on your superannuation leading into retirement can be quite complex and if decisions are made they cannot necessarily be undone dependant on your age and employment satus. Your estate planning should be revisited to periodically ensure that your wishes including listed beneficiaries are as you require. Time to relax and enjoy the fruits of your endeavour. You have worked hard so this is the time to live the lifestyle you have always dreamed of. It is important that you can forecast the longevity of your assets and not be stressed about the possibility of your funds depleting too quickly. It is still important to have your portfolio managed at this stage in the correct investments and ensure appropriate levels of cash are available should they be needed for emergencies. We also want to ensure where relevant that any eligible Centrelink entitlements are pro-actively managed alongside pension payments. 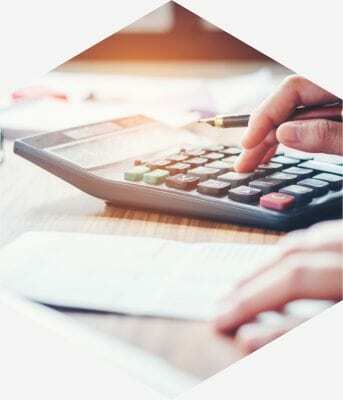 Allowing APEX financial advisors to manage this process takes the stress away from our clients, we can liaise with Centrelink to ensure the full benefits your entitled to are received in a timely manner. Aged care facilities may also be a requirement later in retirement which benefit from planning in advance. We can review facility fees in line with your personal situation to ensure you are comfortable in your later years without the stress of knowing whether these facilities are a viable option. At APEX Financial Advice we use a fee for service model, we believe this is the fairest and most transparent way to charge fees for the financial planning process. There are various payments and plans available which are tailored and individual to the client’s circumstances. This ensures our to provide advice to as many different clients as possible from all walks of life. Being a fee for service business it is down to the time spent on your situation which dictates the price. We will not charge you for all of our services if only some are relevant to you and your particular situation, mitigating any risk of higher charges just on the basis of the higher levels of funds you may hold. The first step in the process is to meet with us to see whether there are areas of your situation we can help improve in a cost-effective manner. If it turns out there is work we can assist you with then we look forward to helping you on your journey. Conversely, where the fit for services isn’t right or we see limited benefit to you as our client the most you have given is an hour of your time exploring our offering. We first meet for a no-obligation appointment and we do not engage with a client if we cannot see gains that we can bring to their financial situation. The first appointment is a chance to sit down to find out more about your position and the goals you may be working towards or the goals you are yet to discover. The initial meeting will generally take about an hour, we may ask you to bring along some documents and possibly fill in some pre-sent documents which we will send prior to the appointment. This allows us to get a more complete picture of your background, providing an initial insight on next steps at no cost to you. After our initial discussion if there are areas we are able help with we will design an engagement letter outlining steps we can undertake along with indicative fees for services. All fees are disclosed before engaging a client, there are no hidden surprises and you are able to make an informed decision. We would then proceed to create a plan for you referred to as a statement of advice, this is bespoke and individual to your needs as our client. This plan outlines various strategies and projections which are relevant to your circumstances. It is our key aim to debunk any content that needs explanation, we strategise both with and for you, helping you understand how your financial plan works. Once we have presented the plan we will implement the advice for you whilst keeping in regular contact to provide updates. Once the advice had been implemented, we may seek to refresh your statement of advice or have a follow up meeting, this is particularly pertinent to clients with changed circumstances or clients needing adjustments as a result of market forces. This pro-active management style ensures that you have the best possible financial plan to achieve your goals at all times. Whatever your stage of life and circumstances there are likely to be areas in which we can help. If you have an hour to spare making a no-obligation appointment could be the first step towards empowering you in your future financial decisions whatever your long-term goals.